Bison Armory carries forged and billet AR-15 upper receivers for .223, 6.8 SPC, and 300 BLK applications as well as billet receivers for our 7.62 NATO platform rifles. Forged receivers are made to military specifications from aluminum forgings. Billet receivers are made from a solid rectangular aluminum billet. The primary difference between forged and billet receivers is that billet receiver external geometry is typically different from that of the forged counterparts. Instead of trying to recreate the forged exterior of standard upper receivers, manufacturers make the best of their situation and add geometric bulk to the receivers to produce a superior product. Because aluminum is so light weight to begin with, the added material adds a lot of strength to the receiver without adding a lot of weight. We currently offer only Bison Armory forged upper receivers. Our mil-spec forged upper receiver is compatible with any high-quality mil-spec forged lower receiver on the market. The receiver is perfectly finished with hard-coat anodizing to give it a deep black appearance and our logo is laser etched. Bison Armory offers Mega Arms billet upper receivers. These receivers are exceptionally well designed and manufactured. They are a perfect fit and match to Mega Arms billet lower receivers, and we highly recommend that you complete your rifle with a matching billet lower from Mega Arms. Bison Armory can provide you with a stripped, partially finished, or complete Mega Arms billet lower. Mega Arms billet upper receivers come standard with M4 feed ramp cuts, ejection port cover, and forward assist, and also in their SBU billet upper with side charge slot (does not include M4 feed ramp cuts). 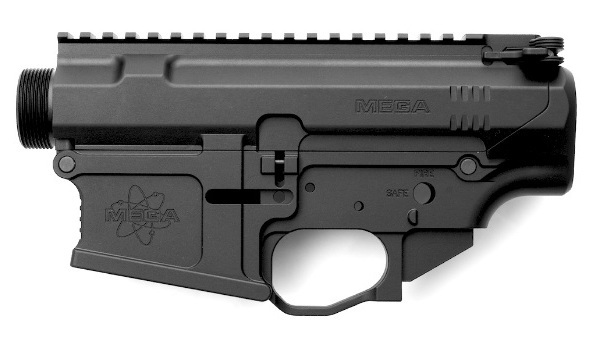 Our BR-X platform rifles are based on Mega MA-TEN billet receiver sets. The upper and lower receivers from these sets are not interchangeable with other receivers such as the Armalite AR10 and DPMS LR-308. The MA-TEN upper receiver is compatible with any free float forearm with a rail height the same as the Armalite AR10 but with a DPMS LR-308 barrel nut.